Unless you’ve been living under a rock – you can’t have missed that Microsoft have been rather busy for the past 18 months. Back in late 2014, Microsoft surprised everyone when it took the wraps off the Technical Preview of its next Windows operating system. It had been widely expected that there would be a next generation of Windows: we just didn’t expect it to be called Windows 10, and nor did we expect such a drastic change in user engagement. The preview programme was huge, and I think it can be considered that Windows Insider was a huge win. Over 4 million people joined the programme and helped test and shape the next version. So much of a win was it, that it was extended to the Windows Mobile version, and also to Office 2016 as well. Windows 10 was designed to be different – but at the same time one. One product – to run PC, Tablet, Phone, Xbox etc. This had been a goal of Windows for some time, but they had never quite got there. Microsoft needed to do something after the disaster that was Windows 8. It was poorly received by consumers and businesses alike – and only part accepted by consumers with the 8.1 and 8.1 update releases. Even then, it was at odds with users – it jarred their normal experiences too much. I would tend to agree with this, I have a Windows Phone – the tiles and interface elements work well on it – but this simply didn’t translate well to normal devices. Even on my Surface Pro 2, the experience wasn’t a huge amount better. Yes, it became relevant because of the touch screen – and that made the Start tiles useful, but actually, I wanted my real estate back. So, what do I actually think about Windows 10? Ive had it on my Surface since release day – and straight off, noticed the quicker response. 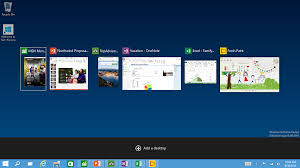 The big thing everyone is talking about – lets get it over with – the Start Menu is back. Its not the same old Start Menu you had with Windows 7 though – now it contains standard Windows software and Windows apps. Confused on the difference – well Windows apps are what used to be called Modern UI apps in Windows 8/8/1, or Metro apps, if you want to go right back to the beginning. There is more though – the best bit about Windows Phone is the live tiles. Yes these were there on Windows 8/8.1 – but in Windows 10 – you can keep them on screen with your “traditional” start menu. Look to the left and you’ll see a list of your most-used apps, just as in Windows 7, meanwhile down at the bottom we see an ‘All apps’ shortcut, plus shortcuts to File Explorer, Settings and the power options. The interesting bit is the area to the right – where you can drop tiles. These will do all the same fancy little flips that they did in 8/8.1 and Windows Phone – giving you at a glance information. Much less intrusive, and still very useful. Now, for Surface users and other tablet users – you can still get the full screen Start experience. This also still includes the Apps list and menu options on the left. Drop your keyboard on (like I do when I’m doing some proper work) – and it works out Im not in Tablet mode anymore, and the Start Menu goes to a more sensible size. Nice touch – oh, and I should add, you can customise the auto-switching for tablet mode. The next thing you notice is the way that search is embedded at the heart. Now, in Windows 8/8.1, we could hit the Start Key and get typing, and up would come some connected items. Quite handy for people like me – that is pretty much how I would open any program I needed. This is more than just search though – this is Cortana. Any Windows Phone users will have already met Cortana, and it you have used it – you will know how powerful it is. So much so that Microsoft ported it to iOS and Android! There have been plenty of adverts with Cortana mocking Siri (Apple equivalent) and Google – which doesnt have a name as far as I know? If it does – please correct me someone! Cortana is your digital assistant – and he or she (depending what voice you want) will help you search, add reminders, put appointments in your diary, track travel details and more! Cortana lives in the task bar – and you will have to set up up by running through a quick wizard first – give you name, and set a few preferences. Then you can either simple press your microphone button on your device and start talking, or type into the box. Search is only part of the story – Ill come back to that one in a while though. Concentrating on Search for a moment – it has evolved a long way from that which was in 8 and 8.1. Type in a single word – and not only do you get Desktop Applications returned, but also Windows Applications (the new style “Modern” Universal Apps), as well as files and web results. So I said that Cortana is more than search…and it really is. Just like on the phone platform, you can ask what the weather is going to be like for example. It doesn’t end there either. You can ask her to remind you things, take notes – a digital assistant; which is embedded across the Operating System, and into many of the apps too. There is neat integration with Edge (the Internet Explorer replacement), and I would imagine it won’t be long before we see the same integration into the Mail and Calendar apps as well. As it is, the search functionality already will return items across your PC, your apps (Office Apps – so recent documents, emails, attachments), from the web – and apps as well as I’ve already covered. Windows 10 also includes a new browser, called Edge. It may be new, but some will be disappointed with it. I’m still undecided on where I stand with Edge – partially because the Internet Explorer version still included in Windows 10 is still as memory hungry and crash happy as always. Another bug bear is the Icon – which many commentators are reporting, is barely different from that of Internet Explorer. I suppose this is a vain pandering to the masses to be “familiar”, however, in some ways that is part of the problem. Didn’t it need to be something different. On the plus side, there are some very good features – for a start it’s simplified and clean. You can also draw all over webpages and send a copy to friends. It’s useful if you want to quickly share a screenshot of a site with some annotations – and is actually something I have used a few times having a Surface. It is pretty nifty – but I do wonder how much I would actually use it. Edge may be new, but it sadly sticks to the past in a number of ways. Snapping tabs into new windows is messy and clunky, and downloads start automatically with no choice of where they’re being stored. Ive also found its really easy to lose track of them, and progress. This is basic stuff, and it’s surprising it’s missing. Microsoft really started from scratch with Edge, and it shows. It’s a work in progress, like the whole of Windows 10 – and it was late to the party as well. I think this shows a bit. Probably the thing I worry about the most is performance, and Edge mostly delivers. Mostly – amongst annoying random crashes and page hangs. Rendering most popular websites is smooth, and load times are usually good. It still feels like there’s some work to be done on occasions, and I’ve run into situations where pages just don’t render well at all or sites ask me to use Internet Explorer. Yes, Internet Explorer still exists in Windows 10, and you can access it through an “Open with Internet Explorer” option in Edge. That is a bit ugly and clunky – but I cant really see any other way. Speaking of old friend again – even there, the bugginess lives on. This is a shame – and I fear people will continue to use Chrome and Firefox etc – although you will find it a nightmare to change your default browser! That is hidden away in the depths of settings menus. Good luck! Cortana is integrated into Microsoft Edge, and it shows up in clever little ways. If you search for something in the address bar like “weather,” then it will immediately surface the weather nearby. The instances in which it’s really useful are when it gives me the information I need without having to load a full search page. If I search for something, then it immediately returns the result before I’ve even had the chance to hit Enter. Nice, and useful. Perhaps the most disappointing part of Edge is the lack of extensions – particularly when competitors like the afore mentioned Firefox and Chrome have both supported web extensions for years. You cant help but feel like Microsoft have missed a trick to not have these available in Edge at launch. However, these will arrive later this year – reportedly. In Windows 8, Apps were clunky, buggy – and the worst – full screen with no windowing/minimising. 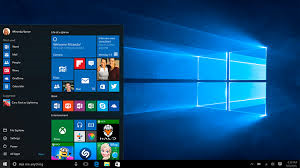 On the contrary, Windows 10’s built-in apps are a great complement to the operating system. Where before we had “got used to” basic and lacking, Windows 10’s have mostly everything you’d want. One of the best, Microsoft’s Maps, provides 3D images, directions, and streetside imagery. It’s all wrapped up in a simple interface with a hamburger menu to access settings and features. Most importantly, these built-in apps no longer run fullscreen by default. It was always irritating to run an app fullscreen on a 30-inch monitor, and you’re no longer forced to do that for any Windows 10 apps. You can snap them to parts of the screen too – and they adjust resolution accordingly. Clever. Back in early Windows days – we had Outlook Express – remember that? Well, basic communication tools are back – only they aren’t so basic. Not so long ago, Microsoft acquired Acompli – who specialised in PIM clients – and not surprisingly, a lot of their good work has been packaged up and applied them to this Mail client. There are swipe gestures for touch-based machines and a large reading pane to focus on messages. It all works a lot like Outlook.com, and looks like it too with the blue banners, and big buttons. Even better – you get support from the built in “Word” rendering engine for composing emails. That means writing messages is smooth, and they can be as simple (just text) or complex (tables and pictures) as you want. I’s like to see some changes, like a unified inbox, for example – but its not bad, and very usable. In fact I do use it as my default mail client on my Surface -with a few synced accounts (hence the unified mailbox wish). Let’s hope for bug squashing with an update, because the app is great otherwise. The new calendar app is also great, and Microsoft has also finally improved its Photos app to be a lot more useful. Before, it was just plain awful. Images are automatically corrected, and it does some smart album creation on the fly – collections as it calls it. I use OneDrive to back up photos from my other devices automatically, and when I open the Photos app on Windows 10, they’re all there. Microsoft doesn’t care what device I use – so long as I sync my images and content. Not bad – as SkyDrive now supports bigger files and larger areas by default. But the most impressive additions are the new stripped-down, touch-based Office apps. Microsoft has labelled them Word, Excel, and PowerPoint Mobile, but they’ll work on any Windows 10 PC. I wrote this entire review using Word Mobile, and it’s just a delight to use. It has a clean UI, it’s super fast, and it has all the basic editing features I need. Likewise, the Excel and PowerPoint Mobile versions are enough for me. I’m sure they’ll be enough for most people who don’t require the full power of Office desktop apps, and the best feature is that they’re free for devices with a 10.1-inch screen or smaller. 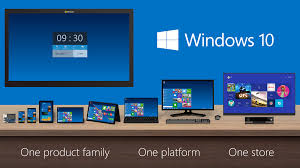 With Windows 8 – everything was very “pro” touch – but the problem was most users were not using touch devices. The environment just didn’t work properly; and although this improved with 8.1 and the following updates – it still jarred. The annoying charms and hot corners were a classic case. So, how has this improved with Windows 10? For a start, there has been more of a focus back to traditional mouse and keyboard computing; but, for all the bad – there was some great touch work put in to 8. This has been preserved, and enhanced – and make more intelligent. For example – a new tablet mode in Windows 10 aims to bridge the fullscreen world of Windows 8 with the traditional way you use a Windows PC. If you have a 2-in-1 convertible laptop – like me with a Surface – then you’ll be prompted to enable tablet mode when you physically switch modes from laptop to tablet, snap on your keyboard etc. What does this change I hear you say? Well, task bar is simplified and the button area enlarged – which makes everything a bit more “finger” friendly, and brings back the fullscreen Start screen. This entry was posted in Desktop, Mobile, TechNews by Stuart. Bookmark the permalink.